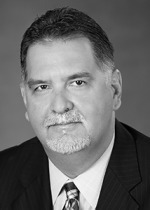 Richmond, Va.-based Cherry Bekaert LLP (FY14 net revenue of $130.8 million) announced the addition of Jose Vila as an audit partner within the firm’s South Florida practice. With more than 25 years of public accounting and private company finance experience, Vila will serve as an engagement audit partner for both public and private businesses. His industry expertise includes real estate, construction, hospitality, retail, manufacturing and distribution companies. At Cherry Bekaert, he will continue providing clients guidance in the areas of financial reporting, revenue recognition, employee benefit plans and internal controls.